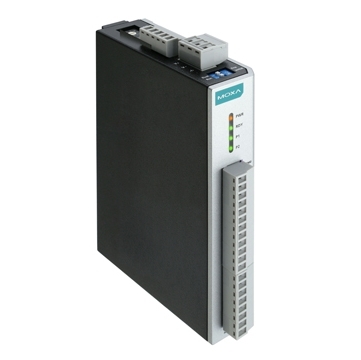 An ideal solution for connecting I/O points and Modbus master for industrial IoT applications. Designed for converting data between I/O points and RS-485 serial interface through Modbus/RTU protocol, Moxa’s RS-485 I/O product series is an ideal solution for connecting I/O points and Modbus master for industrial IoT applications. The ioLogik R1200 series has a built in repeater to break the limitation of connected nodes from 32 to 99 nodes, and also offers a USB port for easily updating configuration and firmware with less deployment effort.